Getting a good workout is a challenge, without a doubt. So when you find a sport that challenges more than one part of your body, it’s hard to not appreciate the efforts of the sport and of your body. Dance is one of the forms of exercise that you can participate in and enjoy countless benefits. From the tips of your fingers to the toes that you balance on, dance certainly does challenge multiple parts of the body, and when it’s a sport that you’re passionate about, you can’t help but fall even more in love with the way that this art works and molds your body. Today’s blog post is going to review some of the body parts that get worked in a typical dance class. This is great as a parent to understand where you can expect to see muscles growing, but also to give you an idea of where they might feel discomfort from soreness or working of their muscles. One of the skills that will be taught in ballet will focus on the ability to strengthen and elongate the legs of the dancer. This is something that requires a lot of muscle control and practice on the regular. Because dancers have to create the illusion of elongated leg through the pointing and stretching, they often develop extremely strong legs. This is a technique that will continue to be improved upon over time, but you’ll see that your dancer (especially if they’re in ballet) will start to develop leg muscles that have quite a bit of strength. As your dancer gets older, you may also notice that they begin to recognize how to control these muscles, which is an incredible feat to achieve. While this is the first part of the body that we’re going to cover, and even deeper than that, the first part of the leg, there are so many subparts to the leg that your dancer will work on. Ensuring that they stretch their legs after each dance class is a great practice to start incorporating into their daily routine at a young age. At that point, it’s easy for it to become a habit and for them to continue to do so as they grow and when their muscles aren’t healing as quickly. 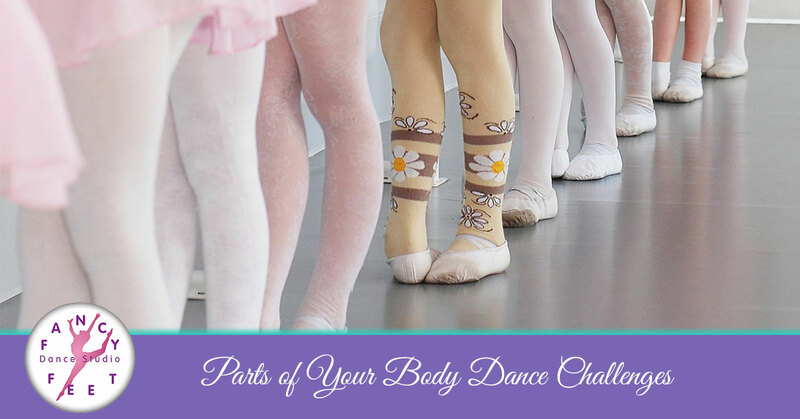 Parts of the body that all dancers will use each and every time that they’re in class will be their calves and their feet. These two are body parts that you can expect to feel the repercussions of a dance class time and time again. There is so much power and control in these two parts of the body that they are certainly what your young dancer will depend on initially. As they progress in their dance classes they will become more familiar with how to use other body parts to achieve what they want, but their calves and feet will also build strength and control over time to improve their technique. Each style of dance will challenge your child in a different way. The main form of dance that will work calves and feet is ballet. These two parts of the body are staples in the art and will definitely continue to grow over time. A majority of the exercises that ballet students will learn and develop for these parts of their body will happen at the barre. These types of exercises help your dancer develop the ability to control their muscles all the way from their toes, moving up. Aside from this one form of dance, just about every form of dance is going to require your dancer to develop strength in their feet so that they can make jumps, twirls, and achieve the moves that they’re learning. If your child is experiencing pain in their foot while they’re younger, it could be because of the development of foot muscles that most people don’t experience at this extreme level. Another part of the body that you’ll see your dancer developing will be their core. This is absolutely crucial to having an organized form of dance and is something that will continue to be used and develop as their practice of dance continues. In order for a dancer to stand up straight and have control of all their limbs, they must also be holding their core in and doing it tightly. This is also the part of their body that’s going to keep them stable as they go through the movements and compose their dance. Their ability to tighten these muscles can really create an entirely different sense of the dance. It can convey power, strength, and precision. These two parts of the body are ones that aren’t thought of as frequently when people consider the different muscles that are worked on during a dance class. While they aren’t the primary ones, they certainly are worked throughout the dance class. What’s great is that each form of dance uses the arms and back in incredibly different ways. Ballet requires some serious strength of the arms, and that’s primarily seen in the control and movements that they incorporate into dance moves. Even the slight ability to have control of the arms is something that is challenging and will require more and more practice in order for them to develop this muscle. The variations of dance classes that your child participates in will build different muscles in different places, so you may see some variation in their muscle development as they try different types of classes. The muscles that we’ve mentioned above aren’t the only muscles that will be worked in a dance class, but they are some of the primary ones. By participating in a standard dance class, your little dancer will be, at the least, using each of the muscles that we’ve mentioned above more than once if not throughout the entire class. This is what makes the sport incredible, but the passion is what fuels it. If you have a child that is active and hasn’t found a sport that can keep them busy, this is one that they should definitely try. 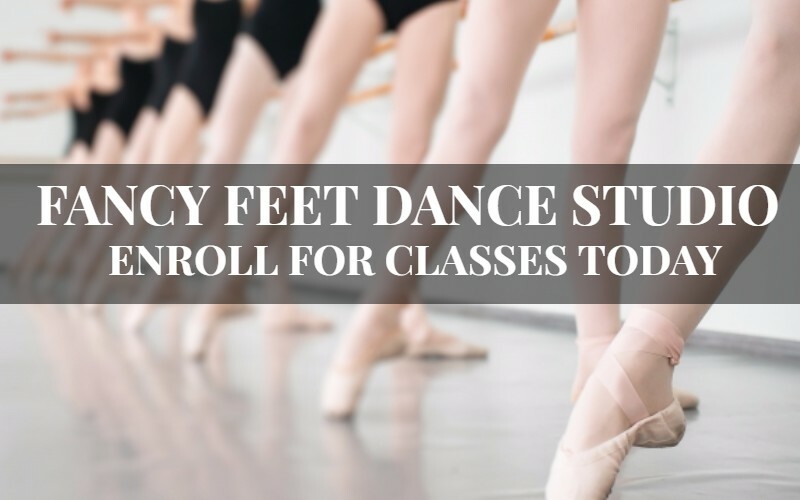 Fancy Feet Dance is a place for young, passionate individuals to come and pursue their dream of dancing. We offer a huge selection of classes and have a team of instructors that are more than willing to put in the work to get them to where they want to be. Check out the current schedule of dance classes that we have and allow us to teach your child everything that they need to fall fully in love with dance. Contact us today if you’re ready to enroll your child in classes.